Even better than the ESB version! Awesome! My favorite in the RAH line! this is my third 12 inch figure and i am really impressed. 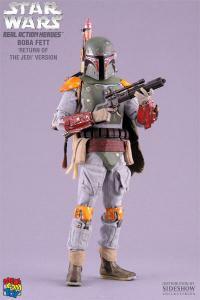 Medicom delivered a truly fascinating copy of the original "ROTJ Boba". The clothes, the colors and all the insane details makes this piece the best 12inch Boba on the market. tThe moveability of the head is very bad due to his rocket pack! I'm 35 and I can remember buying the original kenner 3". It was my favorite in the late 70's but this one renders me speechless. Can't stop staring at him. 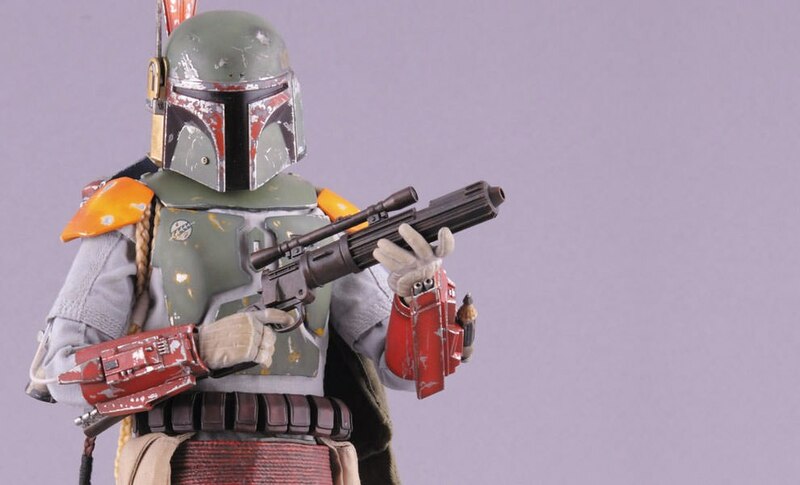 Perfect weathering, excellent helmet and the red armed weapons make this the greatest Boba Fett representation ever. Brilliant, really. Thanks! 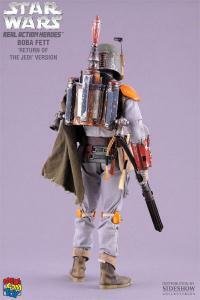 Well made like the ESB Fett! Medicom pulled through on another fantastic figure. Detailed and I wish I would've bought 2. If you missed out of this figure, I suggest getting on the wait list as soon as possible. Great weathering and accessories. Sure to climb in value. Thanks for bringing us this figure Sideshow! Man, I don't think RAH could have done ANY better with this figure. Pure awesomeness. A must have for sure.